Sometimes it's tough to eat a well balanced meal when you're too busy working and catching up with life. That's why it's nice to have "Ready To Eat" entrees handy. You just heat them up and enjoy. Which leaves more time for other stuff like RELAXATION. These days it's easy to find these types of meals; they're available everywhere. They're becoming quite popular even in India where now lots of people are turning to Quick and Easy products to make cooking easier and faster. There's also a variety of brands to choose from at our local Indian store: Deep Foods, Tandoor Chef, MTR, Gits, Rasoi Magic and etc. Some are tasty and some are just BLAH! The last time we went grocery shopping, we picked up some. 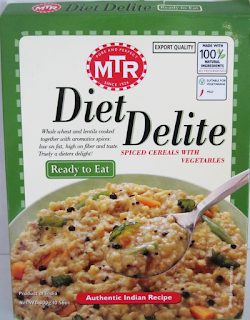 One of them was MTR's Diet Delite: Spiced Cereals with Vegetables. Everything stated above was clearly a win-win for us and so we bought it. I was delighted to see some of my favorite Indian dishes made even easier to eat since all you have to do is heat it up. 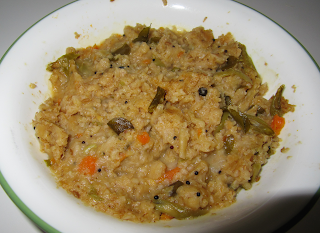 I was excited to try a different kind of Pongal. 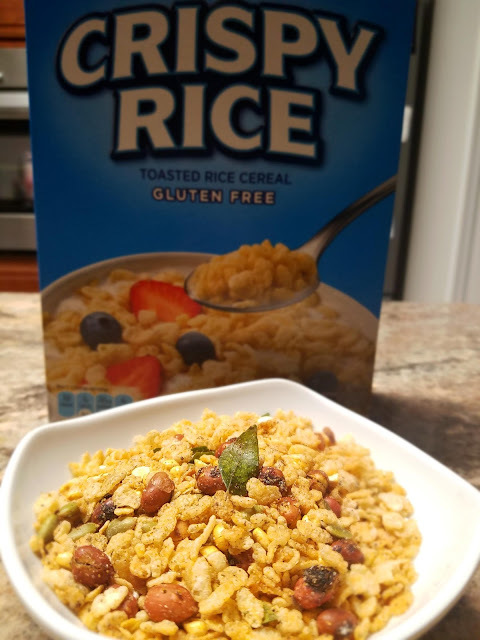 This does not look like the picture on box. All my excitement went down the drain when I emptied the contents into a microwaveable bowl and heated it up. It was just a bowl of mush with some signs of vegetables and spices. It wasn't very aromatic and it surely wasn't tasty. We ended up cooking something to make up for the bad taste in our mouths. We do not recommend buying this product. It's not worth it. As the famous proverb goes: There are plenty of other "Ready To Eat" vegetarian meals on the market and we're sure we will find them. 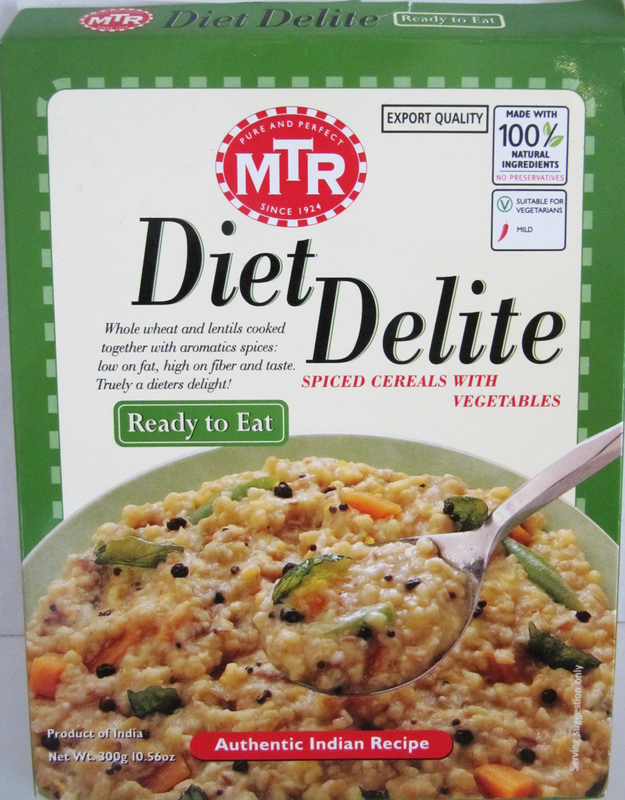 I like Diet Delite! I always add some chicken *and* a few ounces of chicken broth. MTR packs a lot of cereal and rice in this pouch, and if you cook it without some water or broth it will probably be too dry. This is one of my go-to lunches when I need to go light. MTR has a lot of boxes I'm happy with. They have the best shelf-stable Bhindi Masala (Deep Indian has a great frozen one). Cool Down with Summer "Beets"